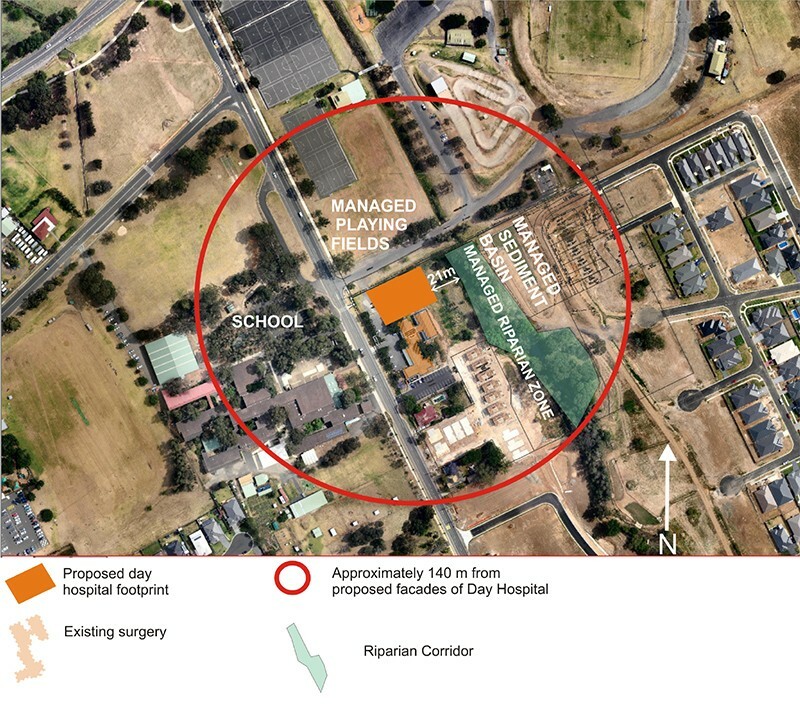 The proposal involved the construction of a small private day surgery premise. A riparian corridor was located close to the eastern elevation, however, in negotiations the council agreed to provide a formalised management plan. All land within 140 m would be considered managed. A riparian zone will be located 21m from the first level of the proposed eastern façade. However this land will be managed by Camden Council as an asset protection zone in accordance with Appendix 5 of the PBP, 2006. A formalised management Plan is currently being developed.